Hello, I'm back again, just like a bus with my second post of the day. 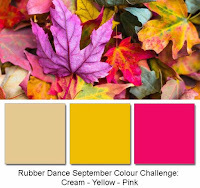 It's time to launch our new colour challenge over at Rubber Dance, and this is what I've made. 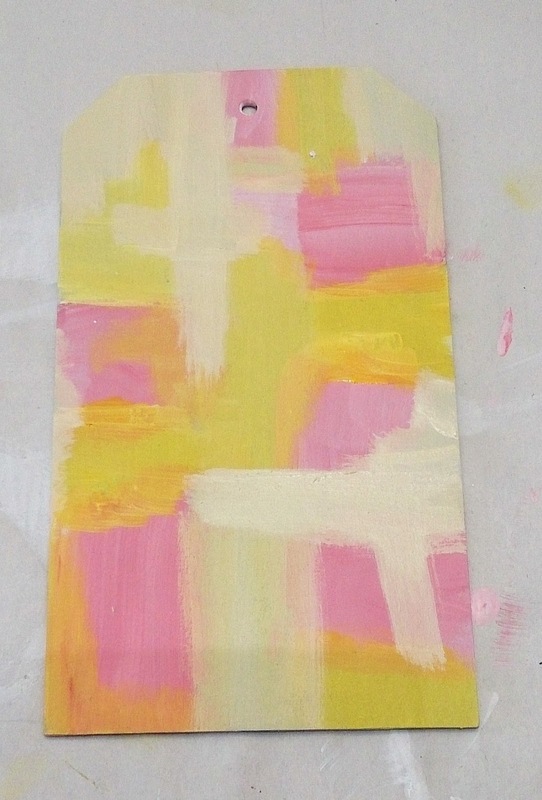 This is our mood board, aren't these colours wonderful. I started with a Tando tag and DecoArt Media paints and Tinting Base. Not looking too good at the moment is it! I've stamped and stencilled in the same colours and added a bit of black around the edges. 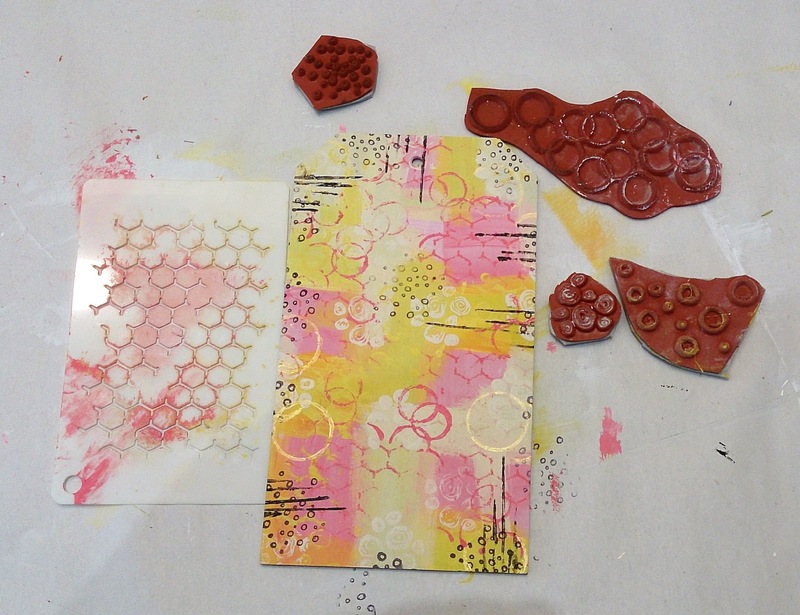 I've used a That's Crafty Dinky stencil, and stamps from the Whale Wishes and Round in Circles sets. 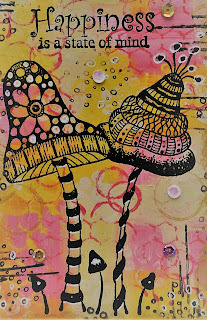 For my main image, I've used Melina's fab new Funny Funghi and done a bit of doodling with a white pen. The sentiment is from the Something Wonderful set. Now it's time for you to join in with our challenge, and see where these colours take you. Don't forget, for free P&P on all orders of 15 Euro's and above, simply quote SDFreeShip. 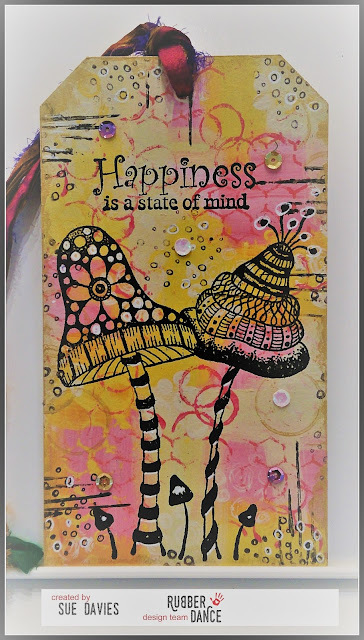 I'm also joining in with the Craft Stamper TIMI challenge, and Simon Says Stamp Wednesday 'anything goes'. 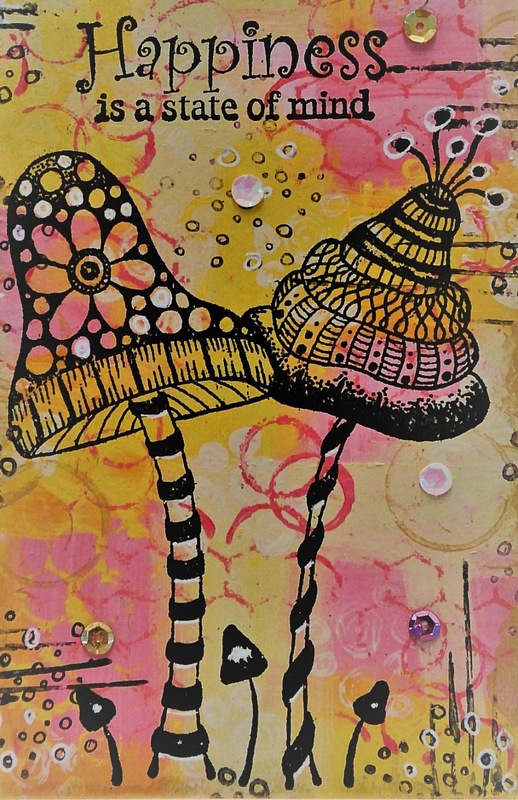 Fabulous uplifting colours, and I love those intricate fungi images - what a treat of a tag! Fantastic colours Sue.....like a packet of fruit salad sweets, do you remember them?! Beautiful tag, Sue, love the way you have created he background!! Love this background Sue. The addition of black stamping is striking with this fortnights RD Challenge colour scheme & Melina's Funny Fungi stamp is so intricate. Fab Tag..!! Have a relaxing Sunday.